Bread as we know is a food for all, its eaten in homes not not only for breakfast. Bakery is a place where all food made with flour such as bread, cookies, cakes, etc are produced. One good thing about bakery business is that you would always make sales because people are always looking for bread to eat, however the success of the bakery business depends solely on the skill and experience you have and that’s why you must get a good and well written bread bakery business plan to help you with this project. The quality of bread you want to produce will be dependent on the kind of bakery you want to have and this depends also on your budget, skills, resources etc. To start a bakery business one important thing is your location, its always advisable to set up your bakery in a good populated area, this allows retailers to come and buy from you without going through too much stress traveling and locating the place, however if your product is good, well marketed and branded customers will always locate you no matter where you are located. Don’t be deceived, setting up a bakery doesn’t mean you can just begin to make sales, its not that simple, you have to have a good marketing strategy and tactics so as to climb above your competitors and thrive in the business. 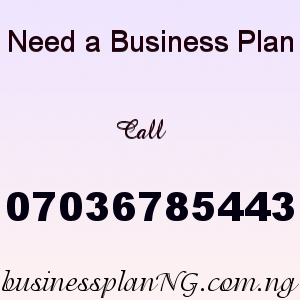 A good Bakery business plan should give you a well articulated structures and marketing strategies on how to sell your product. Electric Oven, industrial burner, mixer, electric machines, bowel or dough mixer, standard scale/measure, automatic slicing machine, paster roller. This is very important, the packaging should be very attractive and unique, for you to attract the kind of people you want you have to give attention to how well you bread is packaged. To successfully execute this project our Bakery business feasibility study/business plan will help to guide you on how to succeed. FINANCIAL PLAN FOR THE BREAD BAKERY BUSINESS.